The writer has taken pains to make the course interesting and relevant. You will notice that many of the introductory sections use cutting edge scientific breakthroughs, facts, stories, and anecdotes. Liberal use has been made of The Immortal Life of Henrietta Lacks. Richard Dawkins has also been tapped, along with the latest popular news about mitochondrial DNA and similar subjects. 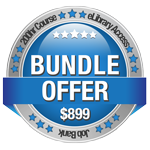 The course writer also keeps the level of content high while at the same time writing in an accessible and understandable style so that students can grasp the material. Still, it is a lot of material to grasp, and no doubt they will benefit from additional instruction that may be provided by their teacher. Students should come away from this course with a solid understanding of what goes on in a laboratory. Some of the science material will be new to some students, and for advanced students, some of the material may be review.But for the majority of students, the science content will be interesting and challenging. Students will need an Internet connection, pen and paper, and a computer that they can use every day. It would be helpful if the teacher spends some time teaching or reviewing the skill of Internet research—specifically, how to separate the wheat from the chaff. The course makes liberal use of Internet websites and encourages students to do so as well. Projects are a mix of formats, including some dry labs, but many of them will be challenging, and students will need to do research to complete them. (If the teacher has access to a wet lab, some of the projects can be adapted; the teacher may also want to augment the course with his or her own wet labs if a lab is available.) The course includes quite a bit of writing, including formal essay and research paper writing. Again, it would be helpful for the teacher or a librarian to go over the basics of paraphrasing, quoting, rules about avoiding plagiarism, and the like. Students will need to choose a stylebook. The MLA or APA stylebook would probably be most appropriate. APA is often used for the sciences. Students should have access to a biology and anatomy textbook, at a minimum. They do not need to carry textbooks around, but they should be able to use textbooks as an additional resource when they need further explanation or clarification. Of course, their teacher will also be a resource. This course probably would work best with students who have already had a course in basic biology. However, that is not an absolute prerequisite. Project: What’s the Right Career for You?